matte bronze 6ULs? - Miata Turbo Forum - Boost cars, acquire cats. I was on your website looking at the 15x8 wheels and one of the options is matte bronze for the coming production batch in August. I didn't see any announcements (since you are really good about updates) so I figured I'd ask at the source. Your probably better off emailimg him. I asked him a question in his thread on CR and his reply was, "email". Emilio has a long thread (with a poll) RE: new 6UL colors at m.net. I saw the poll and iirc antracite with machined lip was in the lead so curious as to why the bronze are a selectable option to add to cart for the coming shipment on his website. I figure it's either a mistake or he hasn't said anything yet. I would be very disapointed if bronze becomes available over anthracite. E-mailed Emilio and heard back today. Matte bronze is currently scheduled for production in next shipment ETA to be determined. No machined lip. He is awaiting a sample so no pics. Cool. If the money fairy comes around, I'd like to get a 2nd set in bronze for the street, maybe use my nickles for track. Still working on the anthracite. When I have a color I like, I'll do a limited run. Full matte bronze 15x8 are in production. Considering shuffling things to squeeze in some 15x9 matte bronze in the July run. 15x9 matte bronze 6UL Only making 32 for sale. No pics yet. Sample will be here in a few days. Depending on shade of the bronze ide be in for a second set for daily's. As much as I wanted to wait for the anthracite, I couldn't wait any longer and ordered a set of Silver 15X8 today for the '94. It's a darker shade. Definitely not gold-like. I don't know if its just that its new, but I like it a lot more than I thought I would. Bronze is not a color I would order, but it does look very nice. I think that would look great on a white car. Wow, im lovin them are these going to be stocked or am i going to have to hit up the credit card and preorder now? 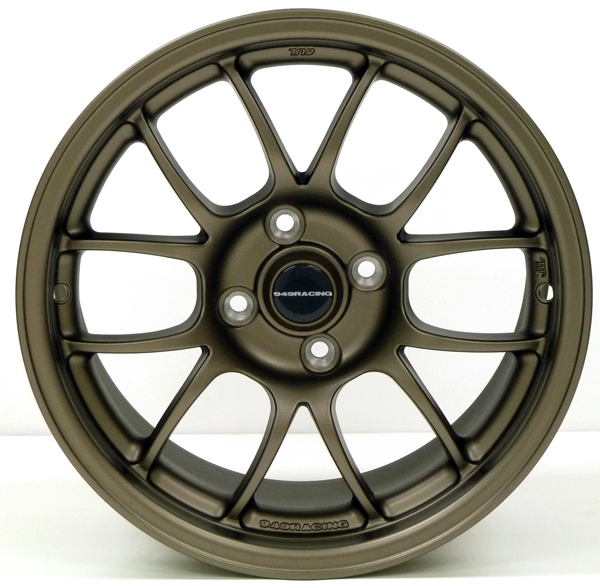 Quick Reply: matte bronze 6ULs?